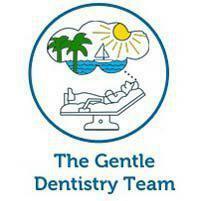 At The Gentle Dentistry Team, Dr. Newman uses advanced cosmetic dentistry techniques to help patients from Boca Raton and throughout Southern Florida get the beautiful, healthy-looking smiles they dream of, from minor aesthetic corrections like professional whitening to complete smile makeovers. Having a great-looking smile is important for self-confidence and self-esteem in both your personal and professional lives. Cosmetic dentistry includes all the treatment options that can help patients correct aesthetic issues and improve the appearance of their teeth and their smiles. What types of cosmetic dentistry procedures are available? Cosmetic dentistry options include veneers, crowns, bridges, whitening, bonding, implants, and other options. We can correct crooked, stained, and cracked teeth. Of course, missing teeth and teeth with gaps can also be addressed. Sometimes, cosmetic and restorative dentistry needs overlap and function as well as appearance will be improved. Will insurance pay for cosmetic dentistry procedures? Generally speaking, dental insurance does not cover the cost of procedures performed solely or primarily for cosmetic purposes; however, when a procedure is also restorative, a portion of the costs may be covered. Ask your plan administrator for the details of your plan, or ask our office staff to check for you. 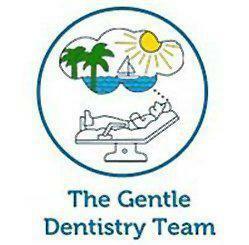 Our staff at The Gentle Dentistry Team can also help you find a payment plan or financing option that fits into your budget. How can I tell which procedures might be good options for my needs? Because there are so many options available today, having an evaluation is the best way to learn about options you may not have even thought of. Sometimes, a single procedure is all that's needed to improve the appearance of your smile; in other cases, you may be a good candidate for a smile makeover aimed at improving multiple issues.